Did Bell Lobby Ryerson U to Support FairPlay Website-blocking Coalition? More documents unearthed by University of Ottawa internet law professor Michael Geist point to the fact that Bell lobbied post-secondary institutions to support the FairPlay Canada website-blocking coalition. Geist was able to obtain these documents through Canada’s access to information laws. MobileSyrup has not had the opportunity to review original copies of the documents. According to a blog post Geist published on August 8th, 2018, TSN senior vice president Mark Milliere lobbied Charles Falzon, dean of Ryerson University’s Faculty of Communication and Design (FCAD), to support the FairPlay Canada coalition. 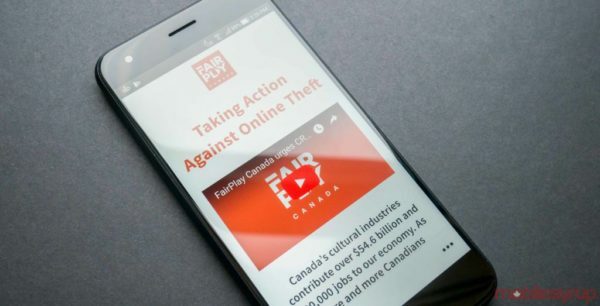 FairPlay Canada is comprised of approximately 25 Canadian media companies — including Bell and Rogers Media — whose goal is to convince the Canadian Radio-television and Telecommunications Commission (CRTC) to establish an Independent Piracy Review Agency (IPRA) to review websites that “blatantly engaged” in content theft.